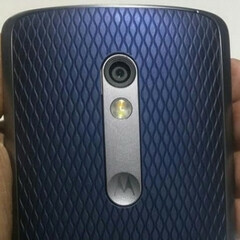 Google has seemingly confirmed the fact that the unannounced Motorola Droid Maxx 2 is nothing else but a re-branded Moto X Play (a handset that's been available since August in various markets outside the US). On a list of devices optimized for Android Screen casting, Google is showing that the "Droid Maxx 2 (Verizon)" and the "Moto X Play (rest of the world)" are one and the same phone. Of course, this doesn't tell us anything about the launch of the Droid Maxx 2, though we expect Verizon and Motorola to officially announce and release the smartphone in the near future. Just like the Moto X Play, the Droid Maxx 2 should be powered by an octa-core Qualcomm Snapdragon 615 processor clocked at 1.7 GHz, sporting a 5.5-inch display with 1080 x 1920 pixels. The handset will be pretty thick (10.9 mm), but that's partially because it's going to come with a generous 3630 mAh battery. Other features should include a 21 MP rear camera, a 5 MP front-facing camera, 2 GB of RAM, and 32 GB of expandable storage space. At launch, the Droid Maxx 2 will likely run Android Lollipop, but an update to Android 6.0 Marshmallow shouldn't be far off. As previously reported, Verizon might plan to release a Droid Turbo 2 alongside the Droid Maxx 2. The Droid Maxx 2 is likely coming soon. The Moto X Pure should have the same battery size. Wrong, Maxx 2 is X play. Turbo 2 is Moto Bounce/Force, a 5.4 inch QHD Snapdragon 810 smartphone. Eesh. Not a fan; its big, midrange, and ugly. C'mon moto. I agree. I have the Droid Turbo, which is by no means a pretty phone, but this is even uglier. Exactly! They have designed the best looking phones in my opinion. Until now.